Back in April I created a poll to rank the Top Canadian Personal Finance Blogs. Thanks to all the bloggers who shared that list with their followers, that post has remained the most popular post on my blog. At the time I took a bit of flack for excluding blogs that were focused primarily on investing. In my defense, there were simply too many great Canadian finance blogs to include. So I had to limit the list somehow. I did promise everyone that I would eventually create a separate poll just for the top Canadian investing blogs. With the last poll I didn’t really know what to expect. I figured my regular readers would vote and maybe another 20-30 people if I was lucky. To my surprise the poll took on a life of its own and there were over 500 votes. Considering my blog had only been up 2 months at the time, that’s quite a few voters. Since I don’t cover investing topics myself, I’m not expecting anywhere near those totals with this poll. This time around I’m going to unofficially end this poll at the end of June. That way in honor of Canada Day I can feature the top vote getters from both polls in a special post on July 1st. I will likely leave polls open to new votes indefinitely. The other reason for creating this poll now is that I have finally decided to further educate myself about investing. I’m tired of ignorantly accepting whatever the commission hungry financial planners at my bank push on me. I want my money to work for me and actually get a decent return. This poll will give me a good idea of which investment blogs I should be learning from. Like the last poll you can vote for up to 5 of your favorite blogs. I will also add an additional vote for anyone on this list who shares this post on Twitter or subscribes to my rss feed. If I missed any good Canadian investing blogs, please let me know. Also I’d like to extend a special thanks to two local investment bloggers who have agreed to meet up with me to provide some investing advice: Dividend Ninja and Freedom Thirty Five Blog. If you’re unsure of who to vote, add in some votes for these guys for being willing to help me out. They get my vote anyway. Update:: This poll unofficially ended on June 30th, 2012. Here are the winners. Feel free to keep voting though. Do you have a personal favorite investment blog? Or what’s the best investment advice you’ve ever received? Anyone else out there want to admit they are investment ignorant? Thanks for the reminder Marissa. I decided that those 2 were actually more general finance blogs. No problem Dividend Ninja. Good luck on the poll. And it will be good to meet up soon and become at least a bit less ignorant about investing. Thanks man. Thanks for doing this. What a great way to learn about some other blogs. No problem. Hopefully there will be a decent amount of votes again to really show who some of the top Canadian investing blogs really are. Even just connecting with some different blogs is enjoyable though. I guess you have to vote at work or a friend’s house for the other ones haha. Wow, thanks for including me! Will definitely tweet and promote. No problem. Thank you for your offer to promote this poll. Hopefully that will get lots of additional votes to make the poll more accurate. Thanks for including me. It’s a pleasure to make the list and be recognized. No problem at all. Now that I see that you’re in Vancouver too, we’ll have to meet up sometime soon. I admit I know very little about most of these blogs. Investing is an intimidating subject to go into when you have little knowledge on the subject. Dividend Ninja is my favorite so far, but that may be partly since he is willing to personally help me. I think it was a huge revelation to me, someone who was not particularly gifted in math… to realize that it was do-able to begin learning about the stock market. Being a mom and outnumbered by the predominantly male investing environment, I ignored the stereotype and started out with some simple books, that anyone can understand. Writers like robert Kiyosaki, and Derek Foster and the canadian policitician turned financial guru,Garth Turner are some to name a few. sharing. Avoid debt like the plague and invest slow and steady. Stay humble and teachable and increase your financial IQ with books, blogs, mags and respectable business/finance documentaries and news. Knowledge is power. Don’t let anyone intimidate you out of the game. God bless your investing. Thanks for the inclusion. I hope sharing what I’ve learned over the years of what not to do and what works for me can at least help one person steer clear of the icebergs of the investment world. It is pretty awesome knowing that what you share has the potential to help others. I admit that the advice I share is probably more likely to help with the personal side of things rather than financial. As I learn more though I intend to pass on that knowledge. Great list Jeremy, and kudos for putting such a great list together. My vote went to Dividend Ninja!! No problem Eddie. Dividend Ninja is off to a great start on this poll so far. I’m sure he’ll be among the leaders when this poll wraps up at the end of the month. I could say you missed me, but then again I am not an investing site, especially if you call yourself the Clown Prince of Personal Finance. Good idea, I have voted . Yes no clown princes allowed lol. Well unless they primarily focus on investing. Then I might make an exception. Good to see these blogs here. Yay, I’m on the list again. And big thanks for the mention. So many great sites to choose from. Wish I had the time today to read through all of them. Good quote Liquid. And no problem mentioning your blog. I appreciate you be willing to meet up to give me some pointers. Thanks for including me on the list! It’s an honour to be included with some of my favourite bloggers out there! Dividend Ninja and Freedom Thirty Five have my votes for sure! No problem Vicky. Best of luck in the poll. Then again, I’m no master blogger. Sorry man. I did try to dig up a lot of the best blogs, but I didn’t want to dig too deep and end up with too big a list. I kinda did that on my last poll and I think it became a bit overwhelming to choose who to vote for. Nice long list. You work hard on this. Thank. Now I got few more blogs to read. 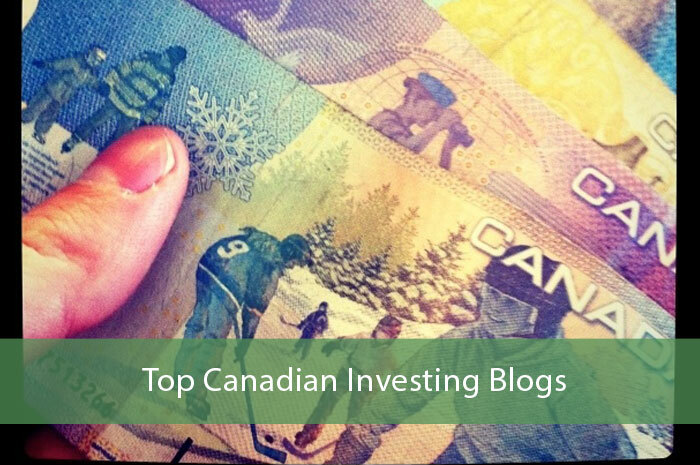 Yup if you’re into Canadian investing, this list would keep your extremely busy. Nice job on the Poll! No problem. This poll was a long time coming. I had been putting it off for a while and realized how soon Canada Day was. I really have to start schmoozing with you so I can get on these lists. I voted for MillionDollarJourney just because FT got me started so many years ago with an interest in personal finance blogs! It’s not about schmoozing at all. I wish all of these bloggers had schmoozed with me to get on these lists. No I went out and compiled these lists from other people’s blogrolls and from other sources. If you had networked with more Canadian bloggers before I created the previous list, I probably would’ve found your blog and included it. Now it’s a little late. Thanks for including me in the list! It’s an honour to be included with these fantastic bloggers! Welcome back Kanwal. I hope your vacation went well. Thank you for sharing this poll on your blog and on social media. Thanks for the list. I am new to investments and this would really be useful to me. No problem. Investing blogs are a great place to get your feet wet with investment learning. Thanks for sharing your favorite Canadian investing blogs. I have also recently started blogging about trading the stock market as a Canadian. If you have future lists, would you consider adding: http://stockideas.org?